WHILE female talents in Singapore value competitive wages and other financial incentives, they believe there is a gender wage gap and stereotypes in the recruitment process, a report released by PwC to mark International Women's Day today showed. 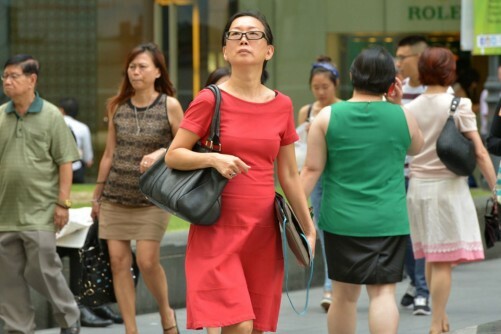 Almost half (49 per cent) of Singapore female respondents picked competitive wages and other financial incentives as their top five attractive employer traits, compared to 38 per cent of global female respondents. Close behind is flexible working arrangements and a culture of work life balance (45 per cent) and career progression (43 per cent). In contrast, 64 per cent of local male respondents value opportunities for career progression most. Two in five employees here (40 per cent females, 35 per cent males) would move to another organisation if their current employer does not provide sufficient career progression. The report, "Winning the fight for female talent: How to gain the diversity edge through inclusive recruitment", surveyed 4,792 professionals globally, of which 203 are from Singapore, and looks at what employers can do to attract and retain female talent. Between equally qualified male and female experienced hires, 39 per cent of local respondents indicated there was a gender pay gap, lower than 52 per cent globally. Three in five female respondents in Singapore cited that when deciding to work for an employer, diversity demographics (63 per cent), targets (62 per cent) and gender pay gaps (57 per cent) are important factors. Asked if they agreed that experienced female job applicants have equal hiring opportunities as their male counterparts, 58 per cent of Singapore respondents (54 per cent females, 67 per cent males) agreed. On barriers to increased level of female experienced hires, 59 per cent of Singapore female respondents believed there are stereotypes in the recruitment process (45 per cent globally), while 48 per cent are concerned over cost and impact of maternity leave (42 per cent globally). But employers here cited a lack of sufficient candidate pool as their primary concern (43 per cent).